Star in your own pillow production! Star in your own pillow production! Blank, white canvas pillow covers feature photo holders for pictures that can carry a favorite photo, comforting memory or reminder of family. Approx. 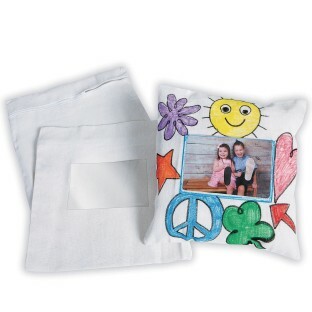 11-1/2" x 12" with a 4" x 6" photo pocket. Decorating supplies and pillow insert sold separately. I purchased these for a Kids program I was running. 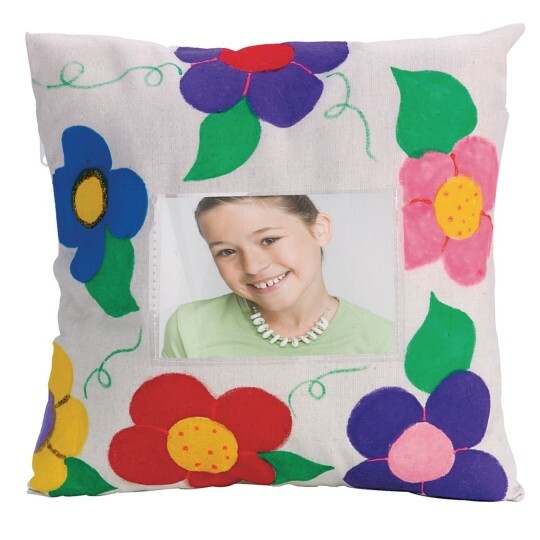 The children enjoyed coloring and stuffing these pillows. Adding their picture on them was a big hit. Perfect for our pajama party arts and craft project. Kids loved doing this craft. They colored t with fabric markers then stuffed them with recycled shredded paper.